Veronica McGregor is the News and Social Media Manager for NASA Jet Propulsion Laboratory. 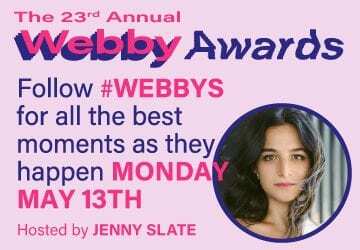 She’s also a new Webby Judge! Here are 5 things you should know about her. As a communications expert and the voice of NASA since 2001, News and Social Media Manager Veronica McGregor knows what it takes to grab an audience’s attention, and what makes compelling content. We’re lucky to have McGregor lend her expertise to the 23rd Annual Webby Awards. Here’s a 5-part window into Webby Judge Veronica McGregor. Do you ever say “wow” when scrolling through NASA’s Instagram? Us, too. You can thank Veronica for that. In 2008 she helped NASA join the digital era by starting the agency’s first Facebook and YouTube pages, and the Twitter account @MarsPhoenix. Today, NASA has more than 68 million combined followers on Twitter and Instagram—and that doesn’t even include its more niche accounts! In 2009, she started the first annual NASA Tweetup , a social event held at NASA JPL, bringing together space enthusiasts and celebrities who engage with NASA’s social accounts to tour JPL, and meet JPL engineers and scientists. Today, NASA still hosts many of these “social” events. Pictured above: NASA Tweetup (credit: NASA HQ). It goes without saying that Veronica knows how to shape a story and convey a message. Before heading to NASA, she was a Field Producer and Story Planner for CNN Los Angeles for 14 years. Throughout her career, she covered technology, space, and the environment. Last year Veronica and her team at NASA JPL took home an Emmy Award for its coverage of the Cassini Grand Finale campaign. After 13 years of orbiting Saturn, the Cassini spacecraft was running out of fuel. To celebrate its final journey, the JPL team brought audiences on an immersive, day-to-day campaign from April-September 2017, until Cassini’s last moments burning up in Saturn’s atmosphere. Watch the Grand Finale above, and see the last photos Cassini took of Saturn. For Veronica, the West Coast is definitely the best coast. When she’s not tweeting about NASA’s incredibly cool projects, you can find Veronica typing a few odes of love to the wonders of the West Coast! Follow her @VeronicaMcG for all things interstellar, celestial, and just cool. Get to know more Webby Judges like Opal Tometi, Jad Abumrad, Reshma Saujani, and others, in our 5 Things You Should Know series.